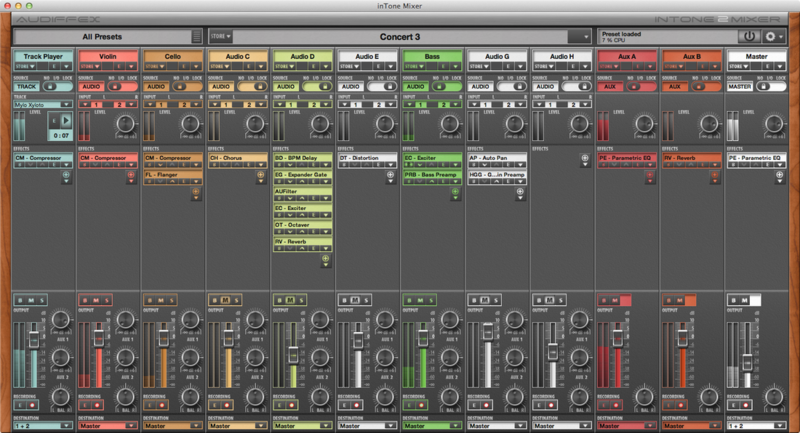 Use inTone2 to perform, train, record, play multiple tracks...It`s a host for amp simulating software, that spares you from lifting heavy gear. It`s a truck loaded with equipment that will meet any band's raider. inTone 2 is a universal tool, that finds its place on stage, club or pub, in band`s rehearsal rooms, at music schools, in home studios, in a touring bus, at a park bench, at a party... Just about anywhere, where you desire to make music. 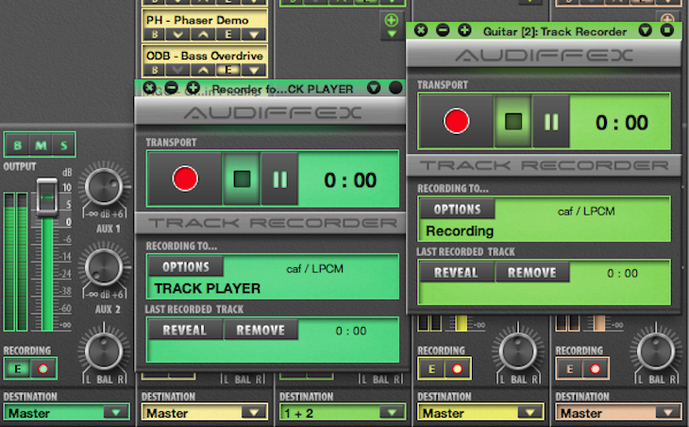 inTone allows you to route any of your sound card inputs into any audio chain. Each of them features gain knob, FX section, volume fader, bypass, mute and solo buttons, AUX sends and individual recorder. Any chain can be routed to any sound card output or inTone's Master Chain. Every track features 8 audio effect slots. You can use any of 36 included inTone effects. Their list matches Audiffex Pedals - including dynamic effects, equalizers, amplifier simulation, filters etc (usage limited for inTone2). 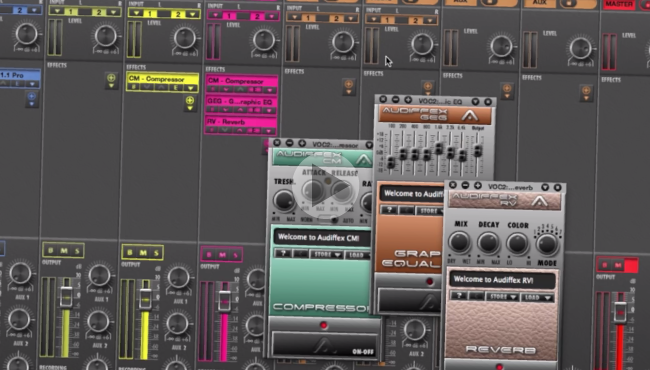 You can also enlarge your collection by any Audiffex plugins - ampLion for guitarists, GK Amplification 2 for bassists, Guitar or Studio Line FX. 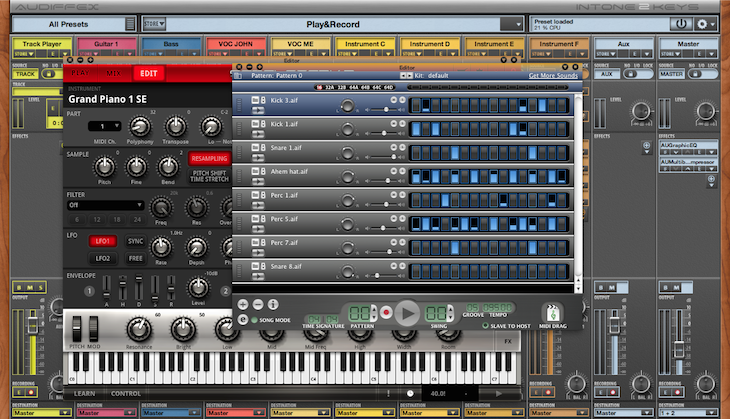 Also you can use 3rd party VST, DirectX or AudioUnit plugins.